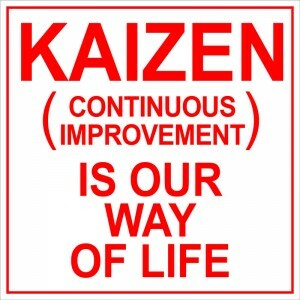 When looking for ways to improve a facility most managers will discover the concept of Kaizen. Kaizen is a Japanese term that means ‘a change for better’ or more commonly said, ‘continuous improvement.’ This is an ideology that has been growing in popularity since it first started back in the 1980’s when Japanese car manufacturers started pushing it forward. Facilities that use the Kaizen methodology are always looking for ways to improve their facility. This isn’t, however, just keeping an eye out for improvement opportunities. Instead it is a whole strategy of identifying improvement opportunities and capitalizing on them at all times. This strategy has been proven to help companies improve dramatically. 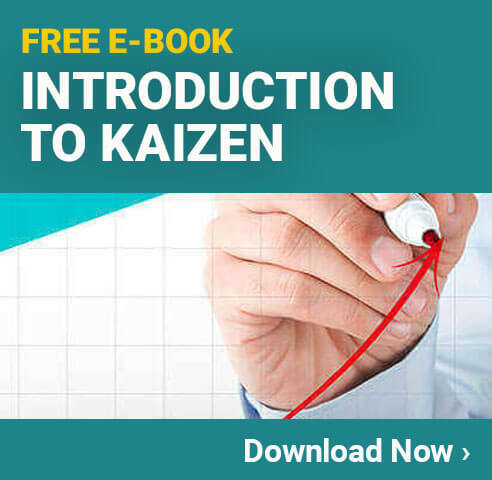 If you are considering implementing Kaizen methodologies, you are undoubtedly curious about what the Kaizen benefits may be. The following are some of the most significant benefits that you will see using Kaizen in your facility. 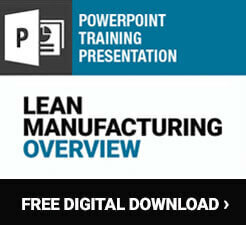 One of the biggest Kaizen benefits will be in terms of the productivity of your facility. When implemented properly you will identify areas where there is waste in your facility, and then look for ways to fix it. Eliminating any type of waste is going to improve productivity. While Kaizen doesn’t typically produce dramatic improvements overnight, it does facilitate the environment that allows for continuous improvements. Over time you will find that your facility is operating far more productively than ever before. One of the biggest benefits of Kaizen is that even after months or years of improved productivity you will still be looking for and finding new ways to improve even further. When looking for improvement opportunities many facilities find safety concerns. 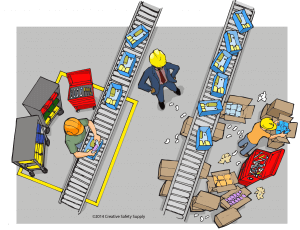 Even facilities that already take safety seriously can often find ways to improve by using Kaizen strategies. Every little hazard that is identified and either eliminated or reduced is going to result in a safer facility. Of course, improving safety is also going to improve productivity, so you can see how Kaizen helps improve many aspects of the facility at once. You can find ways to improve the quality of your facility. This could be an improvement in the overall quality of the products you make, or an improvement in the quality of the machines you use. Finding quality improvement opportunities is a natural part of the Kaizen strategies and can help to benefit your facility quite dramatically. In addition to improving the quality of the products that are made and the facility in general, Kaizen can help to reduce costs. Waste results in a very significant expense for the facility, so anywhere that it can be eliminated will help to reduce costs. Whether this is a hard cost savings or soft, facilities will benefit through long term reduction in expenses. Whenever implementing a Kaizen strategy it is a good idea to make a procedure regarding how the costs are evaluated and measured. This will make it easier for you to get a firm grasp of exactly how much money is being saved thanks to changes made due to the Kaizen strategy. Facilities that use Kaizen find that they are able to communicate better throughout the company. Employees feel empowered to communicate with management. Management is going to be interacting with employees to get changes implemented. 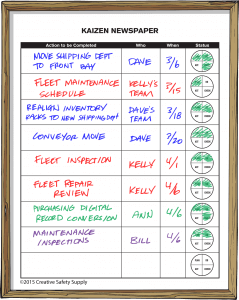 To put it simply, an effective Kaizen strategy can help to force improved communication. Many facilities have found that even though communication improvement was not one of the Kaizen benefits that they hoped for, it is actually one of the most important. Communication is essential for any type of facility and when using the Kaizen strategies you will find that it improves organically over time as the system is tried and found beneficial. 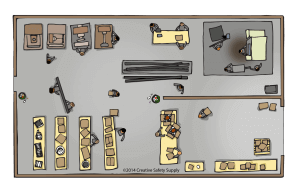 This is one area that many people overlook when considering the Kaizen benefits. The fact is, however, that since Kaizen involves employees at all levels, they are going to be much more invested in its success. As employees see that their ideas and suggestions are taken seriously and implemented in the facility, their morale can go up significantly. Employees who are happier with the work environment are going to produce more, stay with the company longer and generally provide for the company. Keeping employees involved with the improvements and direction of the facility is a great way to not only keep them happy, but also encourage them to help identify improvement opportunities down the road. In addition to the employees being happier working in the facility, you will also find that your customers are happier with your services. As you can imagine, when you are able to improve your products, reduce the prices and deliver them faster, customers are going to be thrilled. Kaizen is the methodology that can deliver on all of these things because it doesn’t just focus on one area. Kaizen strategies can be used alongside other facility strategies such as Lean, Six Sigma and others. This allows you to get the most out of every strategy and use them continuously to ensure your facility is constantly improving. Whether your facility is currently struggling, or you’re already fairly happy with the performance, implementing Kaizen will allow you to make improvements right away and long into the future. As you can see, there are many great Kaizen benefits that you will enjoy when implementing Kaizen in your facility. One of the biggest perks of Kaizen, however, is that the benefits never really end. Kaizen by its very nature is an ongoing strategy that is always looking for ways to improve your facility. The initial benefits that are implemented will lead to further improvement opportunities down the road. When done properly, Kaizen just keeps going through the cycle of identifying improvement opportunities, coming up with solutions to those opportunities, implementing the solutions and finally testing them. If the solutions are positive, the cycle starts over with new improvement opportunities. This will continue forever, leading to an optimized facility that is never satisfied with the status quo.